Martin on John Wetton album? Isn't Martin on John Wetton's first solo album Caught In The Crossfire? Yes he is, on 4 tracks. Worth hunting down as it's not a bad album. The details are on the forum but can't locate it at the moment. John Wetton's first solo album is a pure Pop Rock affair with a slight infusion of Blues Rock and Rock 'N' Roll. Released between Wetton's work with UK in the late 70's and Asia in the 80's, Caught In The Crossfire has nothing to do with the music of those groups. Listening to this album really puts Asia into perspective. This is just the kind of album that would deserve all the criticism that often is lodged at Asia by Prog fans. Compared to this anyone would admit that Asia is great! The songs here are all very generic and middle of the road Pop Rock/Blues Rock with absolutely no signs of Wetton's past and future musical projects with bands like King Crimson, Uriah Heep, UK, Asia, etc. Even his future solo albums are far, far better and more interesting than this. But at this time in his long career, Wetton was clearly not ready to go solo. Wetton is backed up a handful of musicians including none other than Martin Barre from Jethro Tull on guitars. Also Phil Manzanera (Wetton and Manzanera would later make an album credited to them both) contributes guitars. This does not help very much since Caught In The Crossfire is a very vocal driven and song focused album with little room for any interesting instrumental passages. This album really is an embarrassment that should be avoided by all except the most devoted and fanatic John Wetton followers and collectors. And even those will surely admit that this is not a good album. Think that there at least two other issues of the album, each with different cover art. 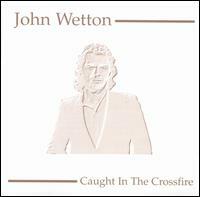 I'm a John Wetton fan who does admit to loving Caught In the Crossfire!! Great collection of songs that clearly signposts the direction that Asia took. Latest version has two bonus tracks, but they do not seem to be contemporary to the original. Hi Philip - welcome to the JT Forum. It's an extremely underrated album and although in my opinion it has dated a wee bit, it still sounds good today with Martin's tracks a highlight (well I would say that !). Even after all these years there are still some Tull fans who do not know of its existence so the more publicity that can be given to it is a bonus. I'm a John Wetton fan who does admit to loving Caught In the Crossfire!! Great collection of songs that clearly signposts the direction that Asia took. Latest version has two bonus tracks, but they do not seem to be contemporary to the original. Interesting thread and one that nearly got me talking about the album with Martin a few weeks ago. Personally I like the album or most of it anyway. It matters not to me what John Wetton was doing before or since,. 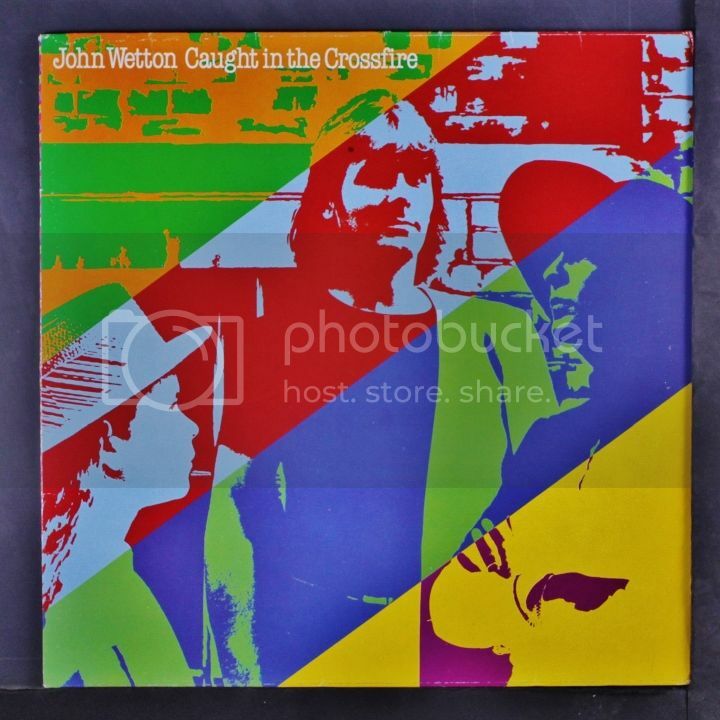 Admittedly despite liking John Wetton's work prior to the release of this particular album, I decided to buy Caught in the Crossfire because Martin was on four tracks. I felt it was money well spent. There are some great songs on the album and you can hear Martin's guitar work. Certainly a damn sight better than a previous album I had purchased where Martin had also played on four tracks though you could barely hear him - The Chick Churchill solo album You and Me. I've no problem with people having different opinions but some of you out there might actually like Caught in the Crossfire. Check it out. I agree with you, JW's album is a fine one although as I mentioned, a bit dated - more to do with the production qualities than the style or quality of the writing. Chick Churchill's album always seemed to me to be more of a vanity product but I have the vinyl and somewhere a cd copy and to my ears the vinyl pressing is far superior. Could be down to whatever pressing plant Chrysalis were using at the time.